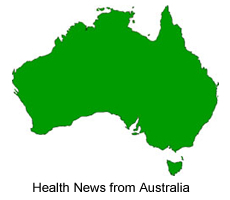 New depression treatment may avoid side-effects according to on-going research in Australia. Researchers from the Monash Alfred Psychiatry Research Centre (MAPrc) at Monash University, Melbourne, are studying Magnetic Seizure Therapy (MST) as a possible alternative treatment for the 30% of depression patients who don't respond to the current standard treatments. Details of the study so far have been published in two leading journals: Psychiatry Research: Neuroimaging and Depression and Anxiety. Professor Paul Fitzgerald, who led the study, said depression was a common and disabling disorder, affecting up to one in five Australians during their lifetime.
" Electroconvulsive Therapy (ECT) is one of the only established interventions for treatment resistant depression," Professor Fitzgerald said, "but use of ECT is limited due to the presence of memory-related side effects and associated stigma." For this reason, the MAPrc researchers are investigating other treatment options. Magnetic Seizure Therapy is a brain-stimulation technique that may have similar clinical effects to Electroconvulsive Therapy without the unwanted side effects.
" In Magnetic Seizure Therapy, a seizure is induced through the use of magnetic stimulation rather than a direct electrical current like Electroconvulsive Therapy. Magnetic fields are able to pass freely into the brain, making it possible to more precisely focus stimulation," Professor Fitzgerald said.
" By avoiding the use of direct electrical currents and inducing a more focal stimulation, it is thought that MST will result in an improvement of depressive symptoms without the memory difficulties seen with Electroconvulsive Therapy." Research is still at an early stage and Magnetic Seizure Therapy is only available at a small number of locations worldwide. The MAPrc is the only centre in Australia conducting trials with this therapy. The study found that Magnetic Seizure Therapy resulted in an overall significant reduction in depression symptoms; 40% showed overall improvement and 30% showed some improvement. None of the trial participants complained of cognitive side effects.
" Magnetic Seizure Therapy shows antidepressant efficacy without apparent cognitive side effects. However, substantial research is required to understand the optimal conditions for stimulation and to compare Magnetic Seizure Therapy to established treatments, including Electroconvulsive Therapy," Professor Fitzgerald said.
" In order to accurately assess the comparable efficacy of Magnetic Seizure Therapy to Electroconvulsive Therapy, large-scale randomised controlled trials are required. There remains considerable work to be done before statements of the relative efficacy of these treatments can be made." Professor Fitzgerald and his team have received more funding to carry out a large-scale trial on MST as an alternative treatment for depression. News is included on the IvyRose website to inform visitors about current health issues, but not to endorse any particular view or activity. Any views expressed in the article above are not necessarily those of IvyRose Ltd.. Material in this news item was released by the Australian based source listed below on 23 October 2012 and may have been edited (e.g. in style, length, and/or for ease of understanding) for inclusion here. For further information, please visit their website. Source: Monash University, Melbourne (Australia).